. إن Barossa Weintal Hotel Complex حريص على توفير الراحة للنزلاء، فلا يوفر الموظفون جهداً في تقديم أفضل الخدمات وضمان حسن الاستقبال. يقدم الفندق فرصة للاستمتاع بشريحة واسعة من الخدمات بما فيها: واي فاي مجاني في جميع الغرف, خدمة التنظيف يوميًا, مدفأة, خدمة سيارات الأجرة, مجهز لذوي الإحتياجات الخاصة . استمتع بوسائل الراحة الراقية في الغرف أثناء إقامتك هنا. بعض الغرف تتضمن إغلاق, مناشف, سجاد, تلفزيون بشاشة مسطحة, صوفا لمساعدتك على استعادة طاقتك بعد يوم طويل. سواء كنت من محبي الرياضة أو كنت تتطلع لتفريغ عناء نهار صعب، ستجد خدمات ذات مستوى عالي بانتظارك كمثل حمام سباحة خارجي. 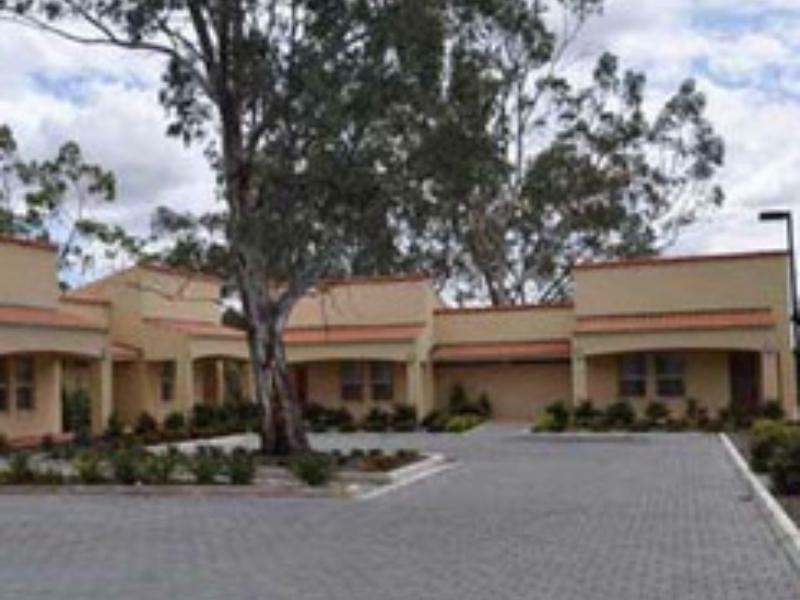 مهما كانت أسبابك لزيارة وادى باروسا، فإن Barossa Weintal Hotel Complex هو الخيار الأفضل لإقامة مثيرة وممتعة. 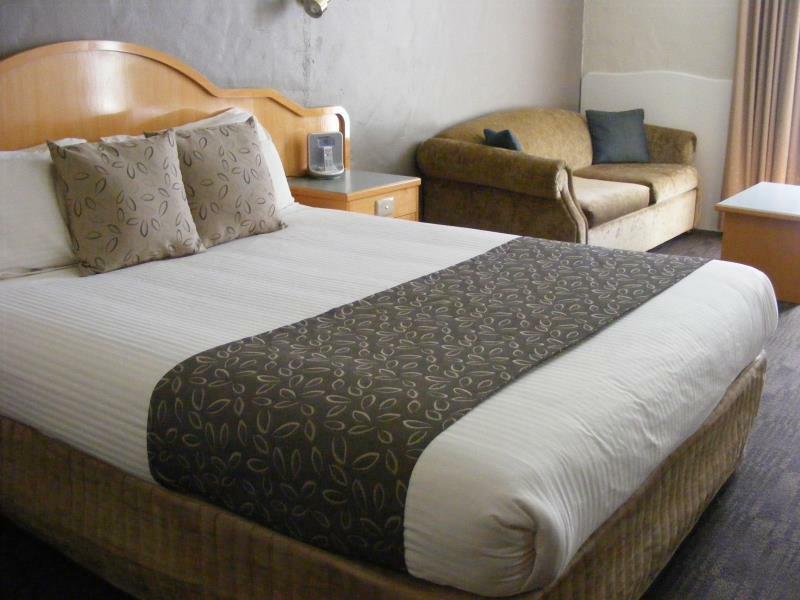 Barossa Weintal Hotel complex is an excellent hotel. 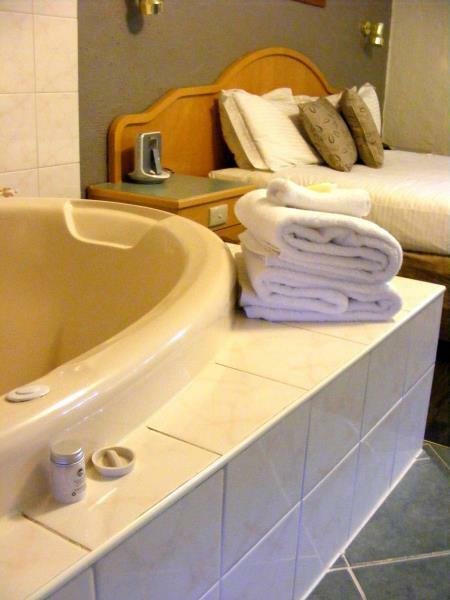 Easily found on the main road, spacious grounds, large rooms, providing good quality soaps, shampoo and bathroom towels. A good selection of tea/coffee, and fresh milk in the fridge. Continental Breakfast was included in our package and for a small upgrade a menu provided choices for a full breakfast. 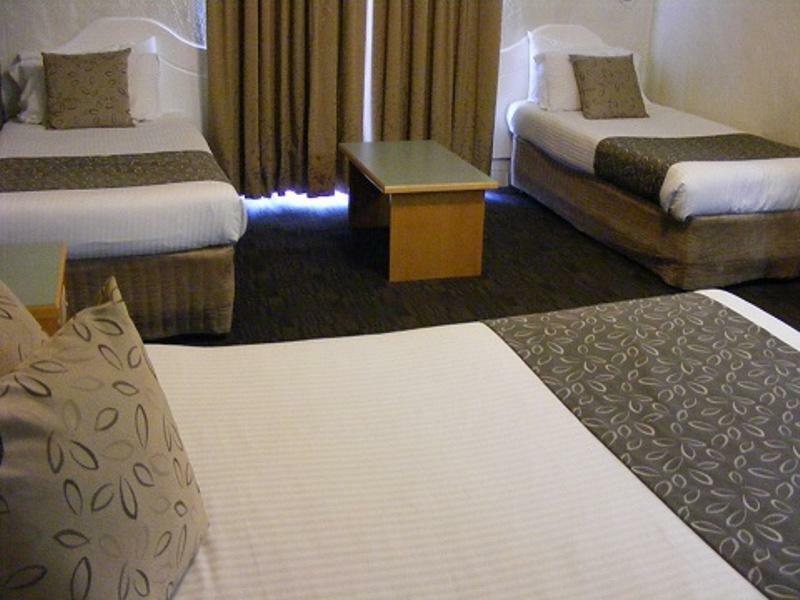 Having stayed overseas and interstate in many hotel/motel complexes South Australia can be proud of this hotel complex. This is best Motel we ever tried, convenient location, nice decoration, good amenities, friendly staff, you name it. The shower is exceptional, hot water big volume water flow made us enjoyable. The restaurant is also a point of sales, fair price point and delicious foods, can't miss it! We had a good stay. I have rated motel 3 star not 4 for reasons, room definitely only 3 star, dining and bistro area 4 star. Breakfast is additional cost which in my view makes the motel on the expensive side, however, we are in the Barossa valley and everything is expensive. management need to get rid of the coffee machine. It is not only a safety hazard but the waiter spends all her time helping patrons to work the thing out, you need a degree in mechanical engineering. Room was good, aircon worked well (needed the heater as it was cold weather), room clean and all linen and towels were new. Food in the restaurant was overpriced, small portions and not well prepared. There are certainly other options nearby that are much better quality and value for money. The room had been given a lick of paint (which included the old unused single bed heads still on walls) and that’s about it. We haven’t stayed in such terribly maintained accommodation. The Restaurant was the only saving grace as the chefs food was wonderful and was far too good for this establishment. If you’re looking for a last minute stay then this motel is not too bad. We booked the standard room for the night and everything was just average. Keep in mind that it’s a motel so it’s what you get. Just average. Bed was comfy, bathroom is abit vintage and the aircon was just alright. It’s a average place. Would have loved a toaster in the room! Otherwise all good! Location was good and staff was good and in general room is clean and tidy. My only concern was about the resturant there very expensive with small portion of food. The room is a bit dated but it’s kept very clean and the room is spacious. Location is also very accessible. Would stay here again! Very tired facilities. No sound insulation at all. Couldn't sleep due to the noise coming from outside the room. If someone using shower you can hear, because horrible noise coming from the pipes. "White" bed sheets have stains and all bed coverings very very old and have a grayish color. Very unpleasant stay. Originally we planed to stay two nights, but after first night we've decided to change hotel. Stayed here for my fathers wedding that was held in the hotel's function room. Lovely staff, great food served, great location for exploring the gorgeous surrounding Barossa and town of Tanunda. Rooms could have been a little cleaner but a comfortable and pleasant stay was had by myself and all other wedding guests that stayed over. The room was comfortable and clean except for the mosquitos buzzing round at night in the room. The "free " wifi is hopeless and a waste of time. I would probably look for better value accommodation elsewhere when in the area again. The staff were friendly and helpful. Our room was upgraded and staying in a Studio suite was marvelous. Location was excellent for what we wanted to do. We quite enjoyed our stay and it met all our requirements. The one cause for concern was a giant Lilly Pilly tree that was dropping all of its fruit over the footpath that my husband and I walked to and from the restraunt on as I was concerned in regards to slipping on the fruit. It also made the area unsightly with the squashed fruit. The gardens need attention as unsightly dead plants need to be removed and replaced. The gardens at this venue add so much to the atmosphere and it was nice to walk through but some culling and upgrading is required. We really enjoyed it, we stay because we go to Tanunda band Music night, saves us driving home & we enjoy the hotel. I can't rate the food as we didn't eat there, so it would be good to put in this option. It meets the needs of both the holiday makers and the business travellers with all its fascinating facilities. - good restaurant - good bar Room was clean and spacious. Visited Barossa for my boyfriend's Birthday and we stayed Weintal Hotel. Booked One bed room apartment with Spa: Clean, nice & comfortable, large space for two. Staff are friendly. Food in restaurant, quality and variety. Also found the mini bar in room was over priced. There was no cutlery in our room but reception readily grabbed us some. Relatively new tv so you connect your laptop. Every room has their own parking spot. Weintal is OK, it's clean but the rooms are very dated and our bathroom had no heating. The restaurant looked good, however we decided to eat in the town.